This little girl would not be alive today if it was not for medical marijuana. At only 10 months old, Tatyana “Tuffy” Rivera was diagnosed with Lennox-Gastaut Syndrome, a severe and rare form of epilepsy. This disease is both dangerous and debilitating, making it difficult to perform day-to-day activities. It also affects mental development. Tatyana has autism and is unable to speak. Epilepsy made her suffer over 300 seizures on a daily basis according to her family, including about 30 grand mal seizures (the most common and the most frightening type of seizure). Other types of “drop-seizures” can also seriously injure a person, if one falls and hits their head. Her parents recorded a few of Tatyana’s seizures and posted them on their YouTube channel to raise awareness of what seizures are like for the child and the parents (recording a seizure can be important in order for the doctors to document what kind of a seizure the person is experiencing). Tatyana’s father Ricardo Rivera said that she was prescribed a combination of over 25 different drugs. The drugs were not working, and made her sedated all the time, unable to enjoy her life. “They all failed her, or did nothing for her, or sometimes made it worse,” he said. No medication she tried helped her, and one day a particularly bad seizure made her parents realize that they might lose her. Doctors told them she would not live past her ninth birthday. That’s when they made the decision to try something new – cannabis oil. “She was pretty much dying in front of us. We decided to try something that has a lot fewer side effects, or more mild ones,” the father said. The very first day Tatyana was using medical cannabis, she had zero seizures. A seizure-free day had not happened for three years prior to that, the family says. After switching to cannabis, she now only has a seizure once a week to once every three weeks. She also outlived her doctor’s predictions and celebrated her 10th birthday. 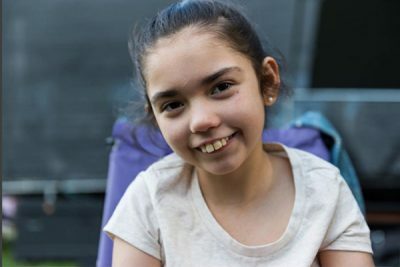 The “Tuffy’s Fight” campaign was started by the family to educate others about Tuffy’s condition and help other kids like her get access to medicinal marijuana and cannabis oil. Medical marijuana is most commonly known for its two main product lines: CBD oil and products containing high levels of tetrahydrocannabinol (THC), including edibles. Cannabidiol or CBD oil is a type of medical marijuana that has on average 0.3 percent or less of THC, the chemical compound responsible for the high people get from it. The main difference between CDB and THC is that CBD has almost no euphoric effects (some strains of CBD may produce minimal psychoactivity). Instead, CBD’s effects are more subtle, and they treat pain, inflammation, anxiety, and other medical conditions. Yet, even though CBD is not used as a recreational drug, in December 2016, the U.S. Drug Enforcement Administration (DEA) made it a federally illegal Schedule I substance. This included CBD derived from hemp: “cannabinoids derived from any plant of the genus cannabis” were specifically mentioned in the new declaration. Luckily for Tatyana, she lives in New Jersey, where there is a medical marijuana program, and she was able to get medical cannabis in edible candy and CBD oil forms ($500-per-ounce); but the program is costly and has quite a few problems. People in New Jersey are having a hard time finding a doctor who will write them a referral. The program forced the doctors to put their names and phone numbers on the its website, which contributes to a high number of unsolicited calls. Some doctors refuse to be a part of the program and refer their patients for medical marijuana just because of this issue. Tatyana had to go to a pediatrician, a cannabis doctor and a neurologist to get a referral, and was finally able to get approved. Unfortunately, many other patients are not able to receive a referral, and countless others live in states where there is no medical marijuana program. Currently, there are 28 U.S. states plus Washington D.C. that have a medical marijuana program. There are also 16 states that have separate and varying laws about CBD. Local laws may allow the sale of CBD oil for sick people, but it is still a federally illegal substance. Also, for anyone considering the purchase of CBD oil for medicinal purposes, it should be noted that hemp oil (which is marketed in much the same way as true CBD products and sold across the web) typically contains a much lower percentage of cannabinoids and is generally not as effective. Today, Tatyana and her dad speak out to spread knowledge about the benefits of medical marijuana and CBD oil, hoping to prevent other parents from witnessing the nightmarish events they’ve been forced to suffer through. Which Conditions Can Medical Marijuana Help Treat? 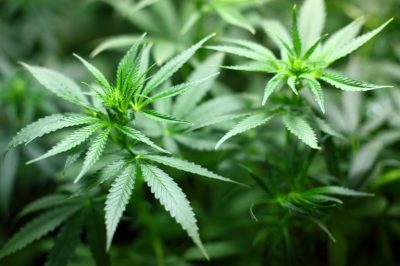 Medical marijuana is beneficial not only for patients suffering from epilepsy, but can also be used for many conditions. Unfortunately for the thousands of people suffering from conditions like Tatyana’s access is limited — no matter how helpful it may be in comparison with the brand name pharmaceutical drugs that only made things worse in her case.